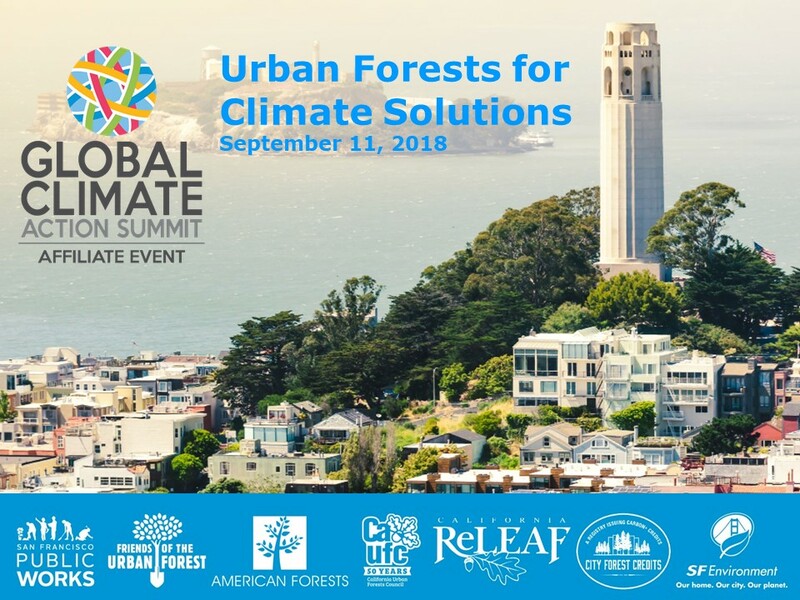 On September 11th California ReLeaf along with a coalition of urban forest organizations hosted the Urban Forests for Climate Solutions Affiliated Event as part of the Global Climate Action Summit. Senator Scott Wiener from San Francisco and Assemblymember Eduardo Garcia from the Cochella Valley spoke about the importance of investing in our urban forests and how urban trees help us fight climate change. In addition, several urban forest and climate change experts shared their insights about research, policy, funding, innovative solutions, and resources. See the event’s agenda, presentation, and video below.